The egg collection of Naturalis Biodiversity Center at Leiden, the Netherlands – founded in 1820 – contains no less then 118 635 eggs from 37 758 clutches from c 128 countries. Some of these clutches are from the rarest Dutch breeding species. In this paper, we describe these clutches, based on a database finalized in 2012. Notable are the clutches from Pallas’s Sandgrouse Syrrhaptes paradoxus (1888; two), Great Bustard Otis tarda (1948), Gull-billed Tern Gelochelidon nilotica (1945, 1949 and 1951) and Aquatic Warbler Acrocephalus paludicola (1904, 1923, 1924, 1929, 1933, 1935, 1941 and 1945). From 19 February to 7 March 2017, a first-year Brown Shrike Lanius cristatus was present in a small city park at Den Helder, Noord-Holland, the Netherlands. Based on the subtle dark scaly markings on uppertail-coverts, scapulars and mantle, it was a first-year. First-year Red-backed Shrike L collurio could be excluded by the relatively large head, heavy bill, long and clearly graduated tail, short primary projection, wing formula, chestnut-brown rump and dark tertial centres. First-year Red-backed also shows more prominent scaly markings on the upperparts and a more greyish neck. The combination of uniform chestnut-brown cap, long, graduated, red-brown tail and absence of a white primary patch excluded Red-tailed Shrike L phoenicuroides and Daurian Shrike L isabellinus. These two have a longer but less graduated tail; in addition, Daurian is paler and more sandy on upperhead and upper­parts and has warmer underparts, and Red-tailed has a more cold grey-brown upperhead and upperparts and less scaly underparts. The red-brown colour of the upperhead, as warm as or warmer than the upperparts, indicated the nominate subspecies L c cristatus. Brown Shrike breeds in eastern Asia. This was the second record for the Netherlands; the first was in January-May 2014. In Europe, there are 38 records, of which most in September-November and a few in winter. On 23-26 May 1987, a male ‘subalpine warbler’ Sylvia subalpina/cantillans/inornata was singing and calling at Kennemerduinen, Bloemendaal, Noord-Holland. The bird was identified and accepted 15 years later as Moltoni’s Warbler S subalpina based on the written description of its rattling call, a regularly repeated tsrrr or krrrr resembling Eurasian Wren Troglodytes troglodytes (interestingly, subalpina was not yet described as a valid taxon when this bird was observed, neither were its diagnostic vocalisations). 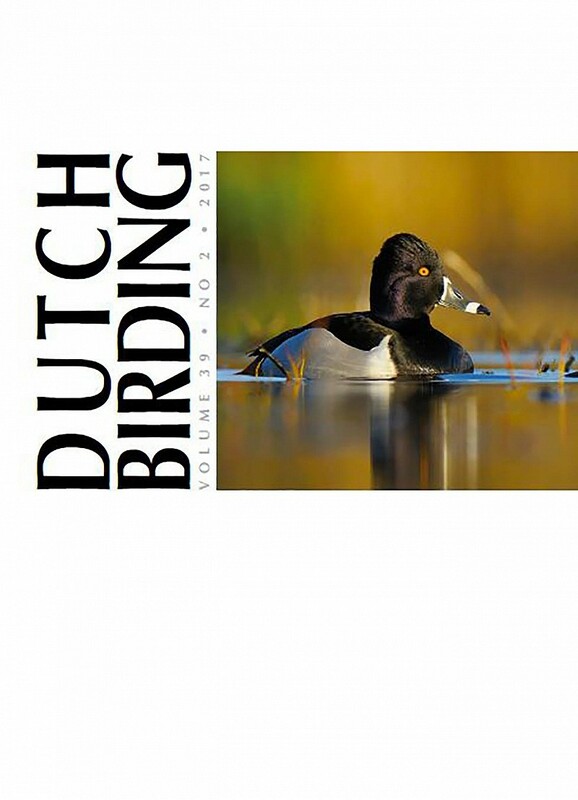 The record was reconsidered in 2014-16 by the Dutch rarities committee (CDNA) following a revision of all subalpine warblers. The CDNA decided that the lack of sound-recordings and the possible confusion with a rattle-like call of Eastern Subalpine Warbler S cantillans made it unsafe to accept this bird as subalpina. Also, the description of the plumage was considered insufficient to exclude cantillans and Western Subalpine Warbler S inornata with certainty. Up to and including 2016, there are (only) seven records of subalpina north of south-eastern France (where it occurs as a migrant): in Belgium (1), England (1), Germany (1) and Scotland (4).